Sold and fulfilled by Bookswagon (3.9 out of 5 | 1,772 ratings). 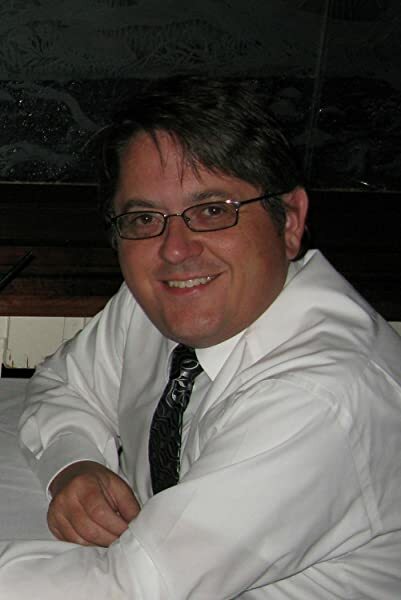 TROY LANPHIER, MCTS, MCITP, MCP, MCSE, and Managing Consultant for Catapult Systems, is a senior-level IT professional with extensive infrastructure, architecture, and design experience. As a long-standing member of the computer geek community, he has been hooked on computers since 1980, when his father brought home a brand new TRS-80 microcomputer (and the all-important TRS-80 computer cassette recorder for storing bits of BASIC language code). Troy has been involved in enterprise server infrastructure design since the mid-1990s, when Banyan VINES, DEC Alpha, Novell Netware, SGI Indy, and Windows NT 3.1 servers roamed the IT world. Since the early 2000s, he has been training, working on, or writing about Windows server technologies, including the Microsoft SharePoint family of technologies (since the 2003 beta). When he’s not working on (or writing about) SharePoint, Troy enjoys spending time restoring vintage cars and motorcycles, playing video games with his daughters Samantha and Katherine, browsing antiques with his wife Marlene, and collecting Hot Wheels and Star Wars memorabilia. 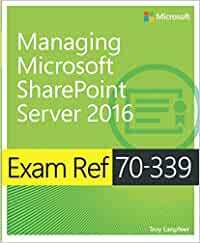 Start reading Exam Ref 70-339 Managing Microsoft SharePoint Server 2016 on your Kindle in under a minute. Yes! It is well-written book. I am trainer on these technologies for 25 years and found this book useful and informative. Particularly the book is well organized. 5.0 out of 5 starsMust have reference book for SharePoint Admins and great reference for preparing for Exam. Excellent book! I have been working with SharePoint for over 10 years and amaze at how much additional information that Troy as exposed to me. SharePoint is a huge environment and book covers so much of the new aspects of 2016 and hundreds of references for deep diving further into the details. I plan on taking the exam soon and feel as though Troy's book has provided a good road map for passing. I passed the exam on the first try, and the book was very helpful. I took practice tests as part of a bundle and those proved to be a lot more integral to my success. Ultimately, the book did teach me differences from 2010/2013 and gave helpful study points for the exam. I'm not prepping for an exam but wanted a well written archtecture and deployment summary of SharePoint. This book is that. It will make more sense if the reader has deployed SharePoint a few times. Recommended. 2.0 out of 5 starsMeh. This is the first version of this book and there are several notes that state that you need to read a TechNet article for more information. I planned to read this book these days, hoping to get more experiences than i have - it looks very excited book and full of rich information.